Happy Saturday! This week’s Curated is packed with our favorite reads on growth metrics, SEO for more app downloads and tips for leading your team. If you are a SaaS startup founder, we have a shortlist of e-books curated especially for you. 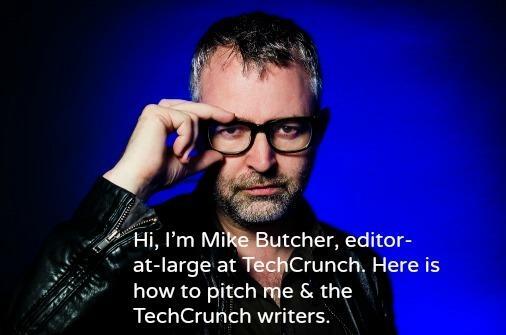 Don’t miss out the great post of Mike Butcher (editor-at-large @Techrunch) on how to pitch TechCrunch and other tech media. Enjoy this week’s issue and the rest of the weekend! Here are 15 e-books for validating, growing, and scaling your SaaS company. "The magic in business isn’t raising money but making money. Let’s be honest for a second, fundraising news drives page views for the tech blogs, makes companies feel validated, helps investors build their brands, and can even intimidate the competition. But dollars in the bank is far from the most important metric. I like to remind my founders that cash is oxygen for their startup — it buys time and space to breathe. But money alone cannot buy victory." Assumption vs. Hypothesis - To the Death! When just starting, the biggest challenge is not to build an MVP, but to identify your own assumptions. A great headline ensures that your post is found in search results and shared on social media, meaning more people will read and benefit from your article. It is the filter people use to determine if your post is worth their limited time. Make sure to include these words to use to get more engagement in your posts. In this post on his personal blog, Mike Butcher, editor-at-large at TechCrunch gives us tips and very concrete examples on how to pitch him, TechCrunch and tech media in general. Totally recommended. Did you know? Email is 40 times more effective than social media in customer acquisition. Here are some practical tips on how to convert your subscribers into customers. User Engagement Metrics are awesome for growth. Here is a quick run through of how you can use specific metrics to track key user actions and improve user engagement, and hence grow your business faster. When talking about search optimization for mobile apps, the first thing that comes up is App Store Optimization or ASO. But did you know that you can also use Search Engine Optimization or SEO to boost downloads of your mobile app? These alarming statistics offer some serious room for improvement. But there’s good news, too. The most common management mistakes are not as complicated as they seem. Managers account for 70% of the variance in employee engagement. In other words, good managers increase employee engagement, and that makes teams more productive. So, how do they do it? What do they know about their team members that other managers don’t?